If the 3D Graphics in Term-PRO are not being displayed (or if the Term-PRO software hangs when loading) then your computer probably incorporates an Intel Graphics chip. Intel has confirmed that there was a bug in the Intel Graphics driver that was causing the problem. Intel has released a Graphics Driver update to correct the problem. Please visit https://downloadcenter.intel.com/download/27988 to download and install the Intel Graphics Driver for Windows 10. Please note that WHE Inc. cannot provide technical support related to updating graphic drivers on your computer. If the 3D Graphics in Term-PRO are not being displayed then your computer probably incorporates an Intel Graphics chip. Intel has confirmed that a bug in the Intel Graphics driver is causing the issue. Intel says they have a fix for the problem and that an upcoming driver update will resolve the problem. (Intel has tested the fix with Term-PRO Magnum Edition.) We will make an announcement when Intel releases the new driver. Intel has fixed the 3D Graphics bug in the Intel Graphics driver. This driver should fix the issue with 3D Graphics not being displayed in Term-PRO. Intel says the driver update will be available soon. I have great news. Our development team already has a fix for this issue (bug ID 1407018879) checked-in for our next driver release. Once I have a release approximate date I'll let you know. By the way, today we released a new driver, version 24.20.100.6194 available here: https://downloadcenter.intel.com/download/27892. I believe our fix should be in the next driver after this one. Thank you once again for your tremendous patience, and feel free to reassure your customers that help is on its way. Intel has confirmed that there is a bug in the Intel Graphics driver. 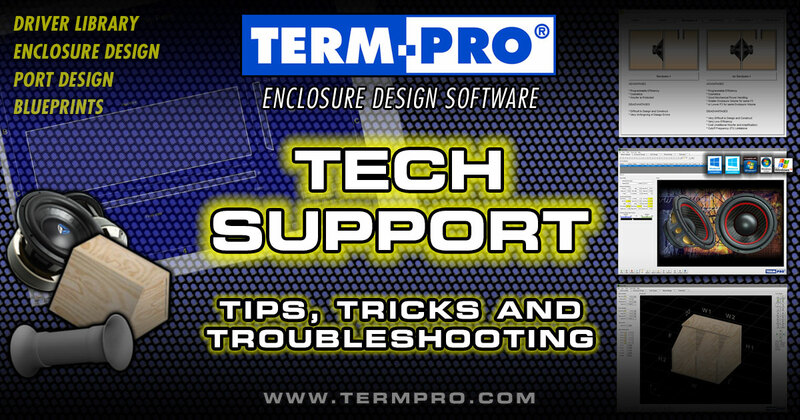 This bug prevents the 3D Graphics in Term-PRO from being displayed correctly. I am a Product Support Engineer for Intel Graphics, and I would like to provide you with an update on case# 03369987. During our first test round we were able to reproduce the issue you reported, thus an internal bug report has been filed under ID 1407018879, which should soon enter debugging stage. This might be a lengthy process based on priorities and current team(s) workload, and while I cannot promise you any particular outcome, I would like to confirm that we'll investigate and as soon as I have an update or news I'll let you know. Some computers incorporate an "on-board" Intel Graphics chip. Windows provides "native" support for this graphics adapter. 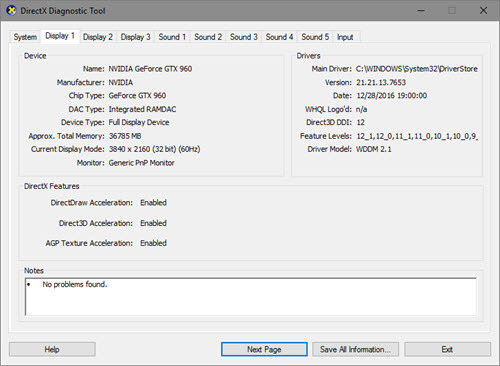 If your computer uses an Intel graphics chipset you may need to uninstall the Intel Graphics control panel application (which is not needed). Uninstall ALL programs that have a name(s) similar to "Intel Graphics..."
Term-PRO requires a Windows component called "DirectPlay". This component may or may not be installed on your computer. Normally, the Windows Installer will ask you if you want to install DirectPlay during the Term-PRO installation (if DirectPlay is not currently installed.) If you don't get this message, or if you answered "No" when you received the prompt, Term-PRO won't be able to display 3D images. Type "Windows Features" in the "Search Windows" box next to the Windows Start button. 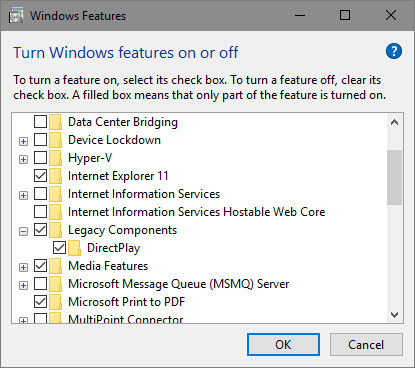 Select "Turn windows features on or off" from the list. Expand the "Legacy Components" item and then make sure "DirectPlay" is selected. Click on "OK" and follow the on-screen instructions. Once DirectPlay has been installed re-launch Term-LAB and see if the problem has been resolved. Exit the Term-LAB Magnum Application. Click on the Windoes "Search" bar. 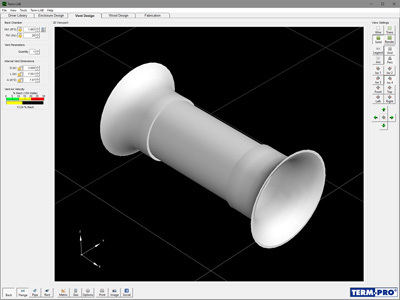 Type "dxdiag". Windows 10 should locate the program. Otherwise you will need to install DirectX. Click on "dxdiag" to launch the DirectX diagnostic utility. Click on the "Display 1" tab. Verify that "DirectDraw Acceleration" is enabled, "Direct3D Acceleration" is enabled, and "AGP Texture Acceleration" is enabled. Make sure "No problems found" is displayed in the Notes field. DirectX 12 is included as a standard feature on Windows 10. But, some of the required DirectX 9.0 files may not be on the computer. You can go to the Microsoft DirectX download page to download and install these files. Be sure to re-boot your computer if you install DirectX. Type "Intel" in the Windows Search bar. Select "Intel Graphics Manager" from the list. Click on the "3D" menu button and turn it on. Click on the "Power" button and select "High Performance"
Close the control panel and re-launch Term-LAB. Download Microsoft Visual C++ 2008 Redistributable and SAVE it to your downloads folder. Once the software has been installed, reboot your computer and re-test Term-LAB. Sometimes antivirus software can prevent critical components from being installed. Temporarily disable all antivirus software. Reinstall Term-LAB Magnum. (You should not receive any errors). 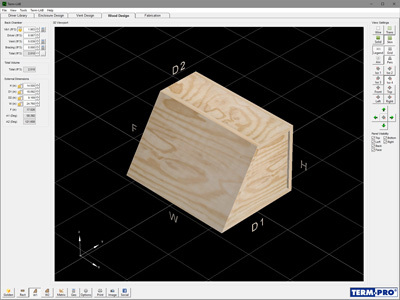 The Term-LAB application requires a graphics card that can support 3D Graphics. If you are using an older desktop PC you may want to try upgrading your graphics adapter. Sometimes the Windows Operating System may be damaged (missing or damaged files). You can try repairing the Windows installation. You can also try using the software on a different PC. Don't forget to de-activate the Term-LAB Magnum software first. Select "Help / De-Activate" from the pull-down menu. Follow the original installation instructions to download, install, and activate Term-LAB on your new computer.